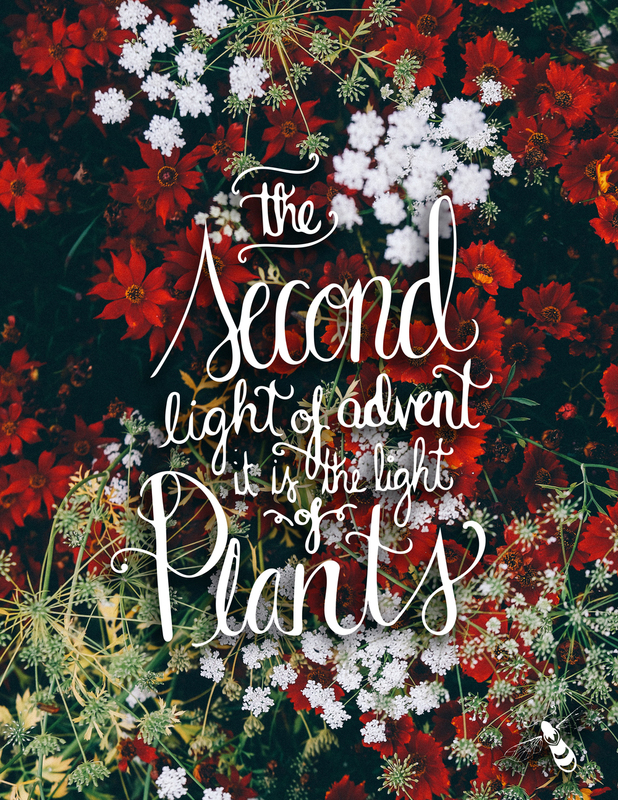 The second week of advent has already come and gone. This was always one of my favorite weeks because in school we focused on the plant world. Coincidentally this was when my family would always go out and pick our christmas tree as well. My brother would have a ball crawling in and around the trees, searching for the most perfect one for our home. Plus the smell of the fir in the living room was the defining moment that christmas time had finally arrived. Still to this day, it doesn't feel like the holiday season until there's some sort of pine or christmasy sent floating through the house. What do you do to make it feel like it's time for the holidays?